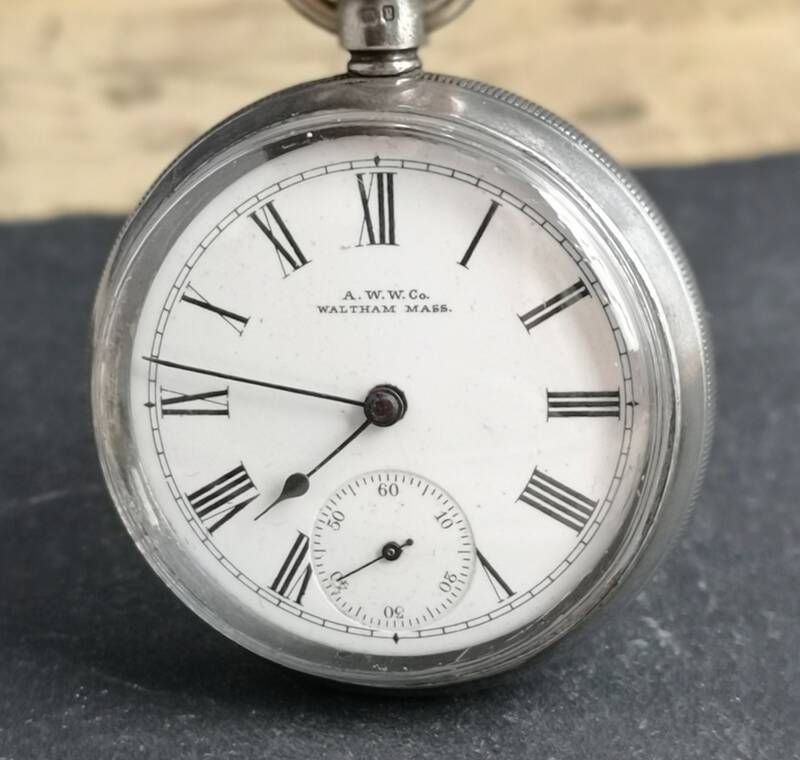 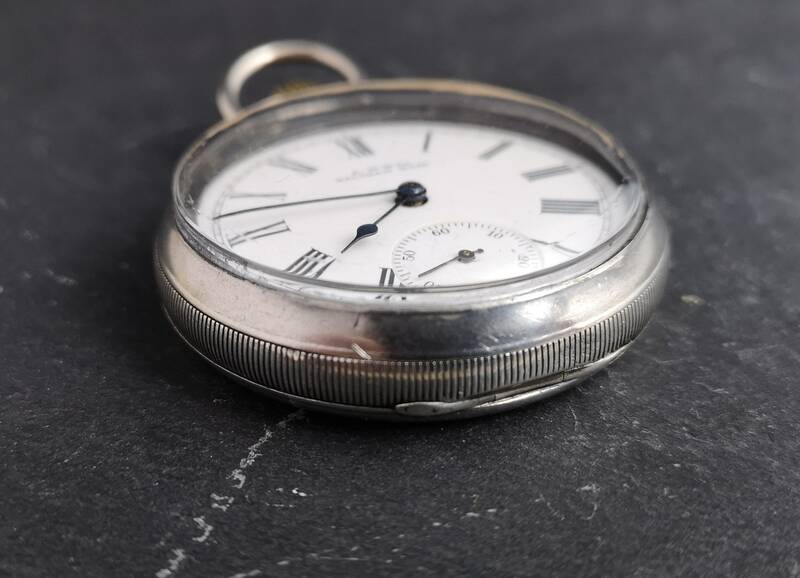 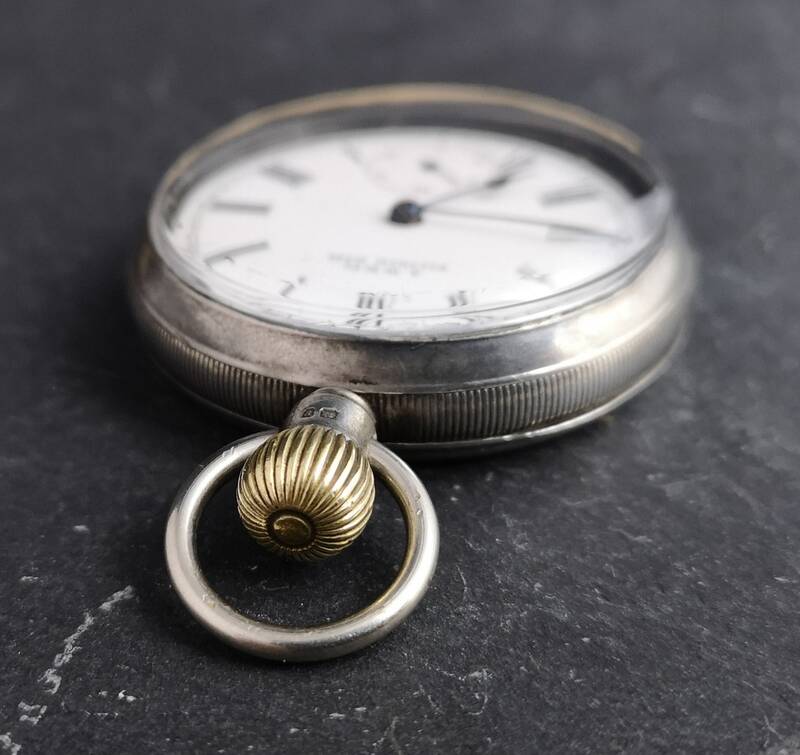 A charming Victorian sterling silver, open face, top wind pocket watch by Waltham Co.
Large white enamel face with subsidiary second hand dial, face is stamped with the makers mark in black. 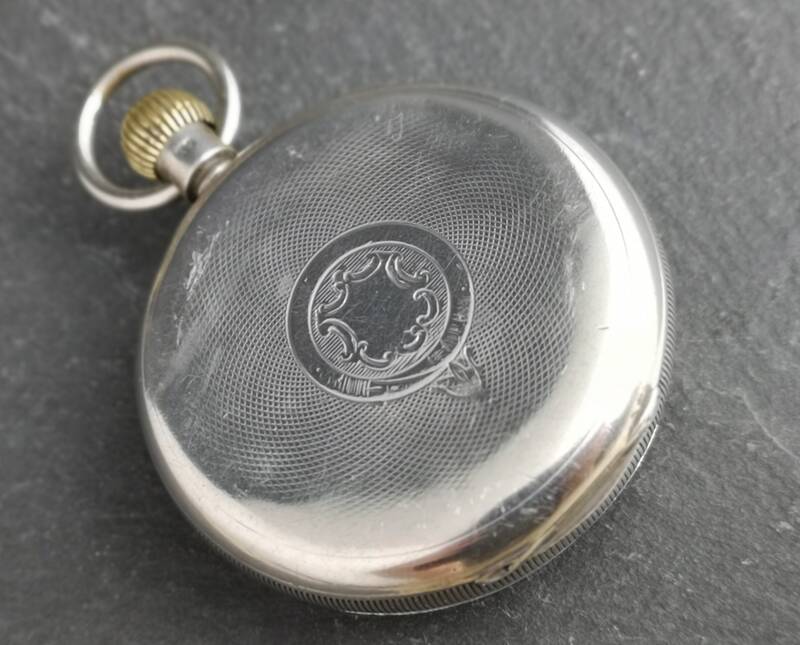 Vacant cartouche on the back so could be monogrammed / personalised. 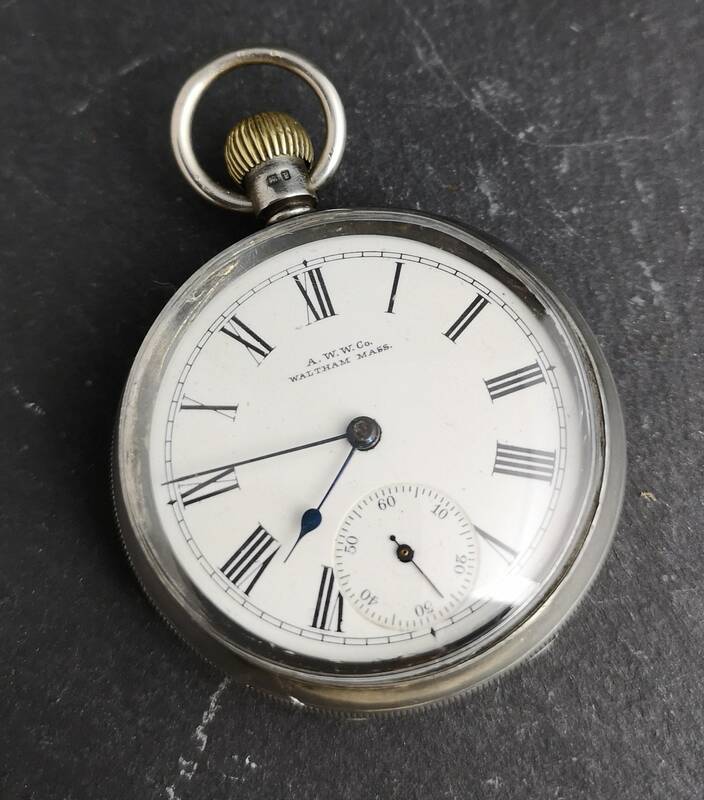 7 jewel 1897 movement production, Bond St. 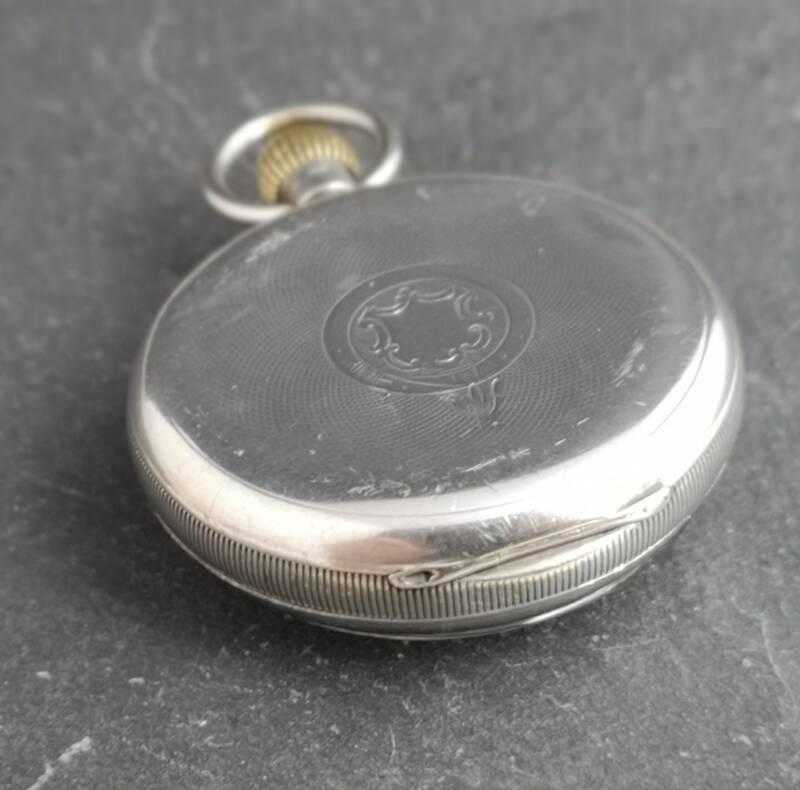 The movement is marked with the manufacturers trademark and serial number, the silver case is fully hallmarked. 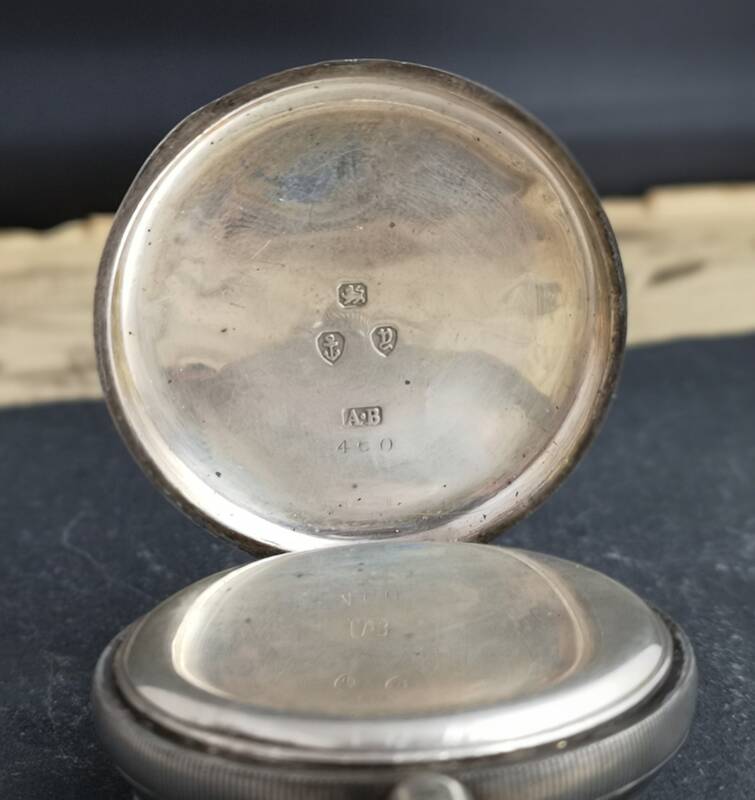 Hallmarks for Birmingham 1898, Alfred Bedford who was also the manager of the Waltham Watch Co. At Holborn Circus London, loop is also hallmarked for Birmingham 1898 Alfred Wigley. 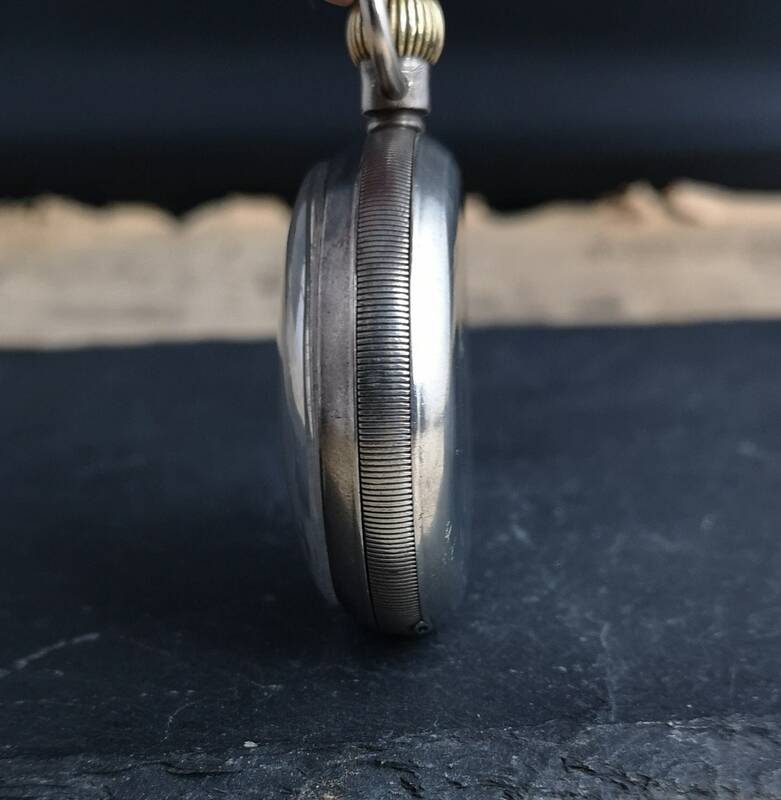 Approx 3" height, 2" width, 0.5" depth and weighs 99.06 grams. 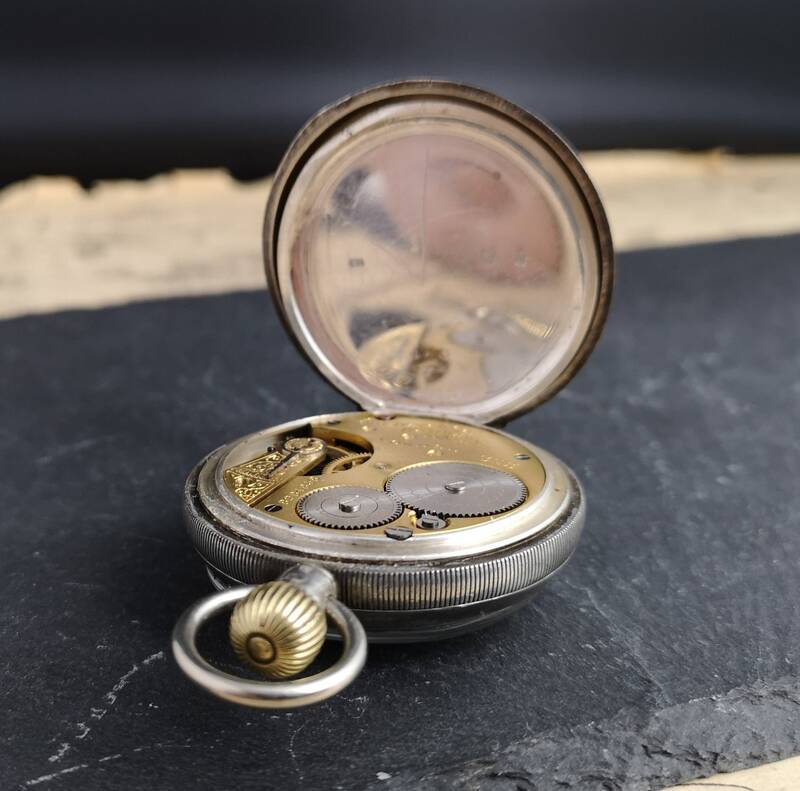 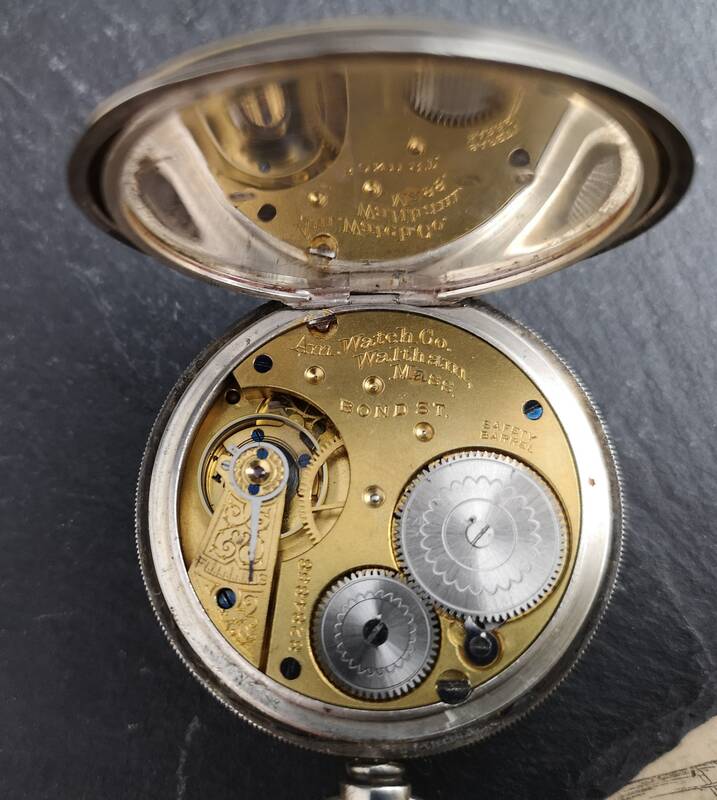 Nice clear glass and dial, working and ticks away nicely, as with all pocket watches of age accuracy cannot be guaranteed and they should be serviced following travel.